Car makers, since the dawn of the industry, have been coming together, falling apart and striving to evolve into something new. With the brave new technological world of driverless cars and the disappearance of the combustion engine fast approaching on the horizon, it will be no surprise if various manufacturers start teaming up to share knowledge and try to get ahead of the pack. With this in mind, we have created a series of renderings to show you what we think would happen if some of the biggest names in the business joined forces. British class and Italian passion combined would undoubtedly produce one of the coolest and most truly beautiful cars of all time. The double-breasted face of Bentley’s grand tourer, the Continental GT, would temper the impulsive stallion of Ferrari’s 812 Superfast, while maintaining the track-driven engineering and aerodynamics that makes Ferrari’s road cars handle like a dream at top speeds. Of course, with Bentley being involved, the interior would have to be decked out like the 1st Class drawing room on the Titanic (pre-sinking), which is hardly a bad thing. With a BMW – Lamborghini mix one would probably expect to take more of the edgier features from the latter, like the Aventador’s streamlined fins and the classic Countach’s rear fender air intake, topped off with the characteristic Italian chiselled jaw-line. Not that BMW wouldn’t bring plenty to the party though, with their seminal “kidney” grille and angled nose, taken here from the i8, being a welcome addition and we have no doubt that, with the Bavarian firm’s eye for precision engineering, the drive would be smoother than a fine, aged single malt. The engine roar from these two major American powerhouses joining forces would make roads shake and lesser cars go weak at the struts. Ostensibly a cross between Dodge’s Viper with hints of the Challenger SRT mixed with Chevy’s all-American classic Corvette, we’d have to presume that the engine of choice would be the Viper’s 8.4L V10, though for sheer classy styling it would be housed behind the Chevrolet Camaro’s bonnet and grille design, making this new beast the true face of snarling American muscle cars of the future. Back in June 2018, Volkswagen and Ford announced that they are working towards building a strategic alliance which could see them co-produce vehicles together. Latest reports confirm that the collaboration will be centred on light commercial vehicles. 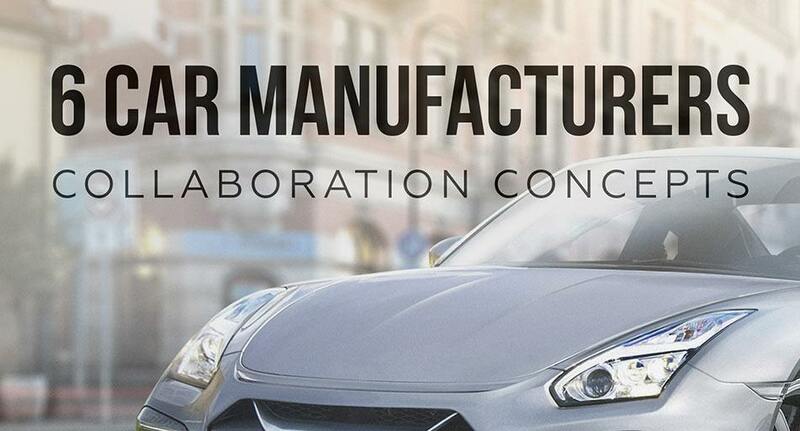 But what if they decided to collaborate on a VW + Ford compact car? That got us thinking about crossing two new and old masters of the compact car arena, Ford’s elegant Focus and VW’s iconic Beetle. We’d take the more rounded, rear and spoiler of the Fiesta, though creating an overall homage to the Beetle’s Love Bug origins through its body shape and artfully accentuated wheel arches. This engineering partnership would have the whole world licking its lips in hungry anticipation. While Nissan has its own experience of creating sporty cars through the GTR and the Porsche-esque 350Z, Porsche itself has undoubtedly been a true master of the field for decades. Expect to see plenty of those archetypal 911 curves though with a more substantial body following the GTR’s line. The only other major question is, with Nissan being the largest EV maker in the world, would this be the first Porsche Electric? Smart cars are perfect for nipping around, and finding parking in, congested cities but we all know their major downside, they look about as sturdy as a lawn chair made of matchsticks. Well the best way to solve that major image crisis would be to partner up with a marque whose very name has become a by-word for rugged, off-road indestructibility. The linkup would see the little two-seater get a full makeover while maintaining its Smart proportions and two-tone body design. We would cross it with a Range Rover Velar, to give it that quintessential Range grille, imposing face and tyres that could allow it to mount a kerb. The world of motoring is changing rapidly and even the status quo of the combustion engine which has underpinned the industry since its beginning seems to be crumbling. Nobody knows what the future holds, but as you can see from our artist’s conceptions, there are some amazing potential cars out there if the major companies start working together.